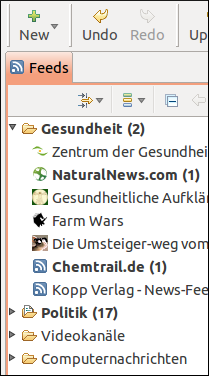 For numerous local email clients (MUAs) are free RSS-​extensions offered, an incomplete selection: RSS with Mo­­zil­­la Thun­der­bird, with Claws-​Mail, with Evo­lu­tion. The majority of the icons come partly from external sources. 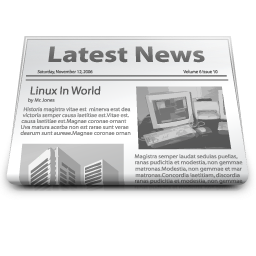 Their authors are known by name and have expressly agreed to a free usage, per clear license. The concerned images contain in the “Alt” resp. in the “Title” element an image source reference that appears when you point with the mouse on the graphics.